Welcome to Heritage Hills! Heritage Hills is located off of Highway 22 in Crestwood. Development of Heritage Hills began in the mid-2000s. Construction types of Heritage Hills’ homes are mainly brick. Most of the homes in Heritage Hills have red brick but a few homes do have tan brick. Traditional style homes are primarily the only style you will find in Heritage Hills. There are many different architectural styles in Heritage Hills. 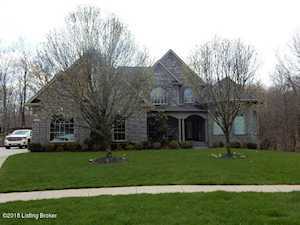 The Hollinden Team updates this search for Heritage Hills homes on a daily basis from the Louisville MLS. We have helped buyers purchase their dream home in Heritage Hills. We would also love to help you find your next home in Crestwood. Check out the Hollinden Team reviews to learn more about what our past clients are saying about us. 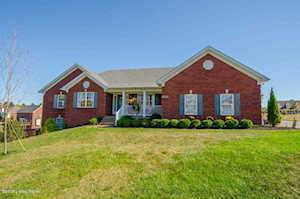 Click the map to the left to view each home for sale in Heritage Hills. While there click on the Satellite view in the upper right corner of the map. There are both ranches and two-story homes in Heritage Hills. 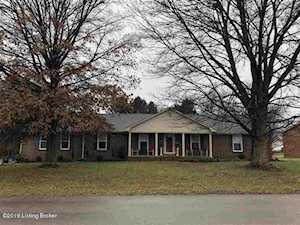 The homes sit on lots that are up to around .65 acres, allowing for a nice sized backyard and space between neighbors. Prices of Heritage Hills homes usually range between $330,000 to $410,000. Heritage Hills homes usually include two to four full bathrooms and three to five bedrooms. Above grade square footage in Heritage Hills homes usually ranges between 1,800 to 3,200 square feet. Heritage Hills homes have basements too. Basement square footage can range between 800 to 2,300 square feet. Because of the price point and age of Heritage Hills homes, you are going to find many modern day updates in these homes. 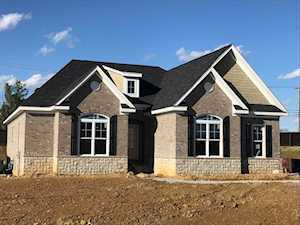 It is common to find vaulted ceiling, open floor plans, granite countertops, hardwood floors, and stainless steel appliances in Heritage Hills homes. There is a Kroger and Walmart within a few miles of Heritage Hills. For shopping malls or centers, you will have to travel to Louisville. The Paddock Shops is about ten miles away from Heritage Hills and is probably the closest shopping center. Also, Downtown La Grange has a few places to shop. You will find antique shops, consignment shops, and bridal stores in Downtown La Grange. There are a few restaurants in Crestwood that you may enjoy including Red Pepper Deli, Gustavo’s Mexican Grill, Rikishi, Texican’s Barbeque Pit, and A Taste of Thai. Heritage Hills is in the Oldham County School District. The following schools are the home schools for Heritage Hills: Camden Station Elementary, South Oldham Middle School, and South Oldham High School. South Oldham Middle is one of the four highest-performing schools in the Oldham County School District. If you would like to learn more or have any questions about any of these Heritage Hills houses for sale, or others in the zip code 40014, just click the "Request More Information" button on any property detail page. The Hollinden Team can provide you with past sale information, comparables, disclosures, PVA assessment, and tax information – we would love to answer any real estate questions you have.